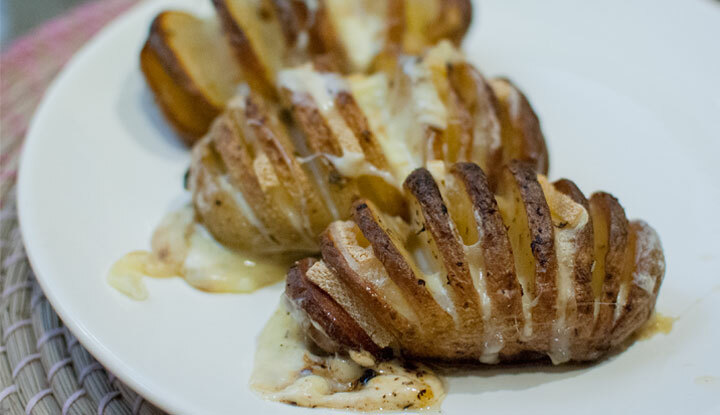 If you like baked potatoes and tasty cheese you should definitively try this Raclette-Potato Recipe. It’s a Swiss specialty and I’m sure you will love it! Cook the unpeeled potatoes until they are soft and cut them in halves. Now put the potatoes onto a greased baking sheet (intersection up). Scatter some salt onto the potatoes Dispense the sliced raclette cheese onto the potatoes Put the pickled cucumbers onto the raclette cheese Now bake your raclette-potatoes for 12-15 minutes at 430°F / 220C° When the cheese is melted, take the potatoes out of the oven and put some silver skin onions onto the raclette-potatoes. Enjoy your Raclette Potatoes! instead of cold drinks. Your stomach will be grateful if you did.